The corporate world is chanting the gamification mantra. Companies all around the world are investing huge amounts of time and money in gamifying their online training. In a survey conducted by Talent LMS, 79% of the participants said they would be more productive and motivated if their learning environment was more like a game. Why is gamification so popular? How can it help firms deliver better training by simply incorporating elements of fun into online learning? 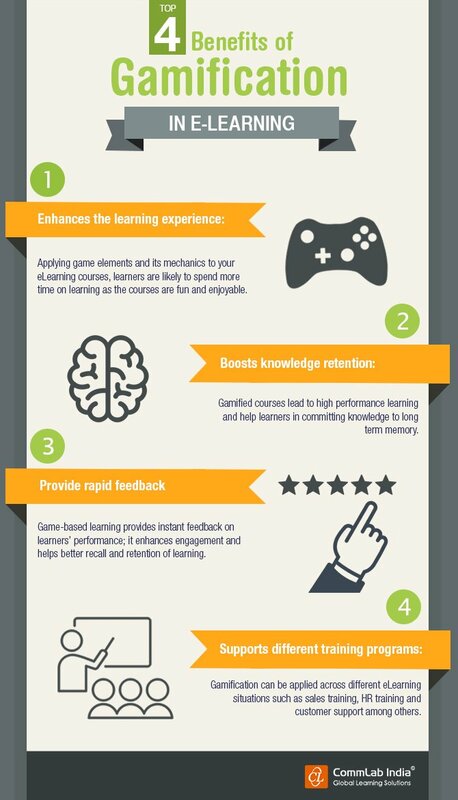 Well, here is an infographic that lists the benefits of gamification in e-learning. Hope you like the post. Do share your views.